A senior PLO official rejected US President Donald Trump's comments in support of a two-state solution on Wednesday, saying his White House's policies were "destroying the possibility of the two-state solution." 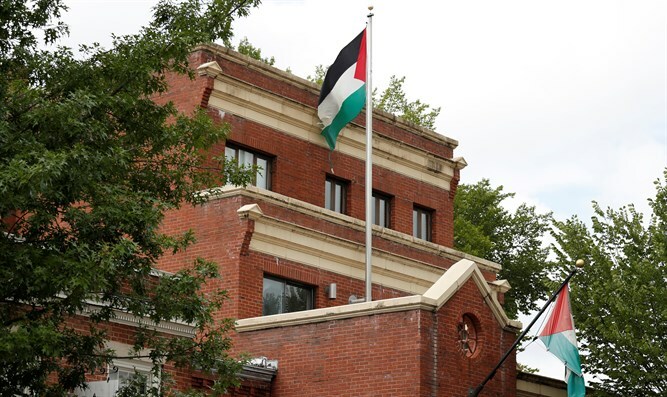 "Their words go against their actions and their action is absolutely clear (and) is destroying the possibility of the two-state solution," Husam Zomlot, head of the recently-closed PLO mission in Washington, told AFP. He added that Trump's comments alone were not enough to bring the PA back to the negotiating table. Speaking in New York on Wednesday alongside Israeli Prime Minister Binyamin Netanyahu, Trump expressed support for a two-state solution. "I like two-state solution. That's what I think works best [...], that's my feeling," he said. Zomlot pointed to the closure of the PLO mission in Washington, the cut in hundreds of millions of dollars in aid and the recognition of Jerusalem as Israel's capital as evidence the Trump administration was not serious about the two-state solution. "Every action President Trump has made is in the opposite direction of the two-state solution," he said. The PA has boycotted Trump's administration since December, when he recognized Jerusalem as the capital of Israel.